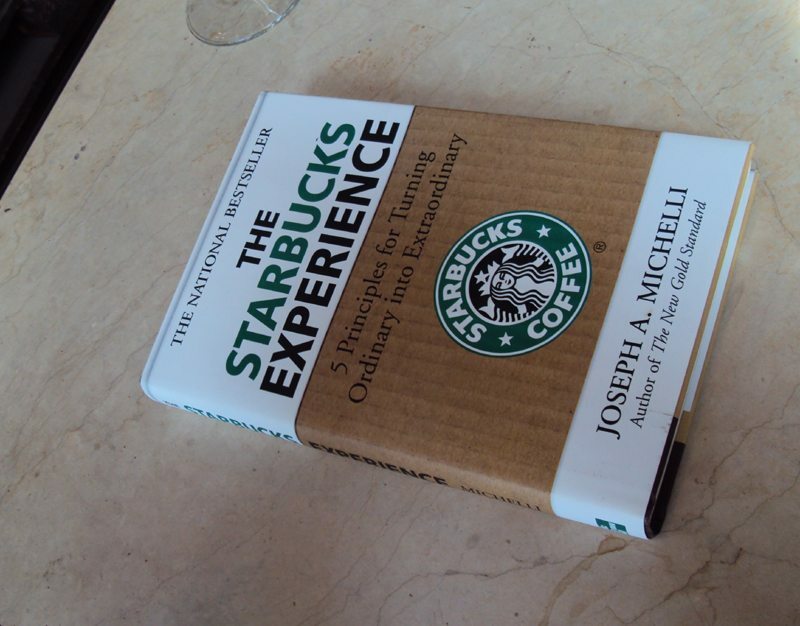 Published in 2007, The Starbucks Experience by Joseph Michelli is the essential guide describing what the Starbucks Experience really is and can be, at its best. It should be required reading for new partners, and anyone who really loves Starbucks, and even those who have disdain for the company! 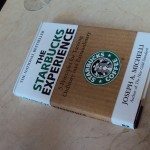 The book outlines five guiding principles that make the Starbucks experience come to life, and then each section is full of examples demonstrating the vitality of the guiding principle and what it means in practice at the store-level and at the corporate level too. The examples in the book continually highlight when the Starbucks Experience is operating at its best. The five principles are (1) Make it your own, (2) Everything matters (3) Surprise and delight (4) Embrace resistance (5) Leave your mark. Though if there is one over-riding theme to the book, it is empowerment. The book is filled with examples of partners empowered to make great choices to either make the customer’s day with surprise and delight, use humor in the course of transaction, and find great solutions for challenges and resistance. Sometimes the humor is the very small things like a very gentle and playful tug of war at the register with a credit card, remembering drinks and names, and sometimes there are very big things like sitting down and connecting with a regular customer who has just lost her husband and needed that time with a barista. The book is filled with great discussions of Starbucks’ passion for doing the right thing for the farmer, and a great discussion of C.A.F.E. practices as well. In the introduction section, the book quotes an Ontario, Canada barista as saying, “we are empowered to make each customer’s visit count. Every now and then, a customer will return within a few minutes of ordering, and order again. Following a quick, hopefully well-placed comment, it comes out that the customer has spilled his drink before fully enjoying it. Sometimes he is obviously ‘marked’ by the experience, and we offer assistance. That is when I let the customer reorder the same drink; then tell them that it’s on us, since we don’t expect payment for the one that got away. The customer is always surprised and tries to pay anyway, to no avail. What makes me proud to work for this company is that I can take liberties to make things right.” (emphasis added). I have often thought the Green Apron book behaviors simply describe great life skills that can adopted for almost every single business person in making their own career better and more emotionally rewarding. The framework is be welcoming, be genuine, be considerate, be knowledgeable, and be involved. One great example of this framework, in action, came from the story of the baristas who were aware that their store had a group of regulars who were librarians. The local library near their Starbucks was going through a relocation, and the baristas took coffee to the new library and helped introduce the librarians to the new Starbucks now closest to the re-located local library. The only way that kind of connection can occur between barista and customer is if the baristas are listening to the customers, knowledgeable about what’s happening in the community right near their store, and even welcoming the customers to a new store. 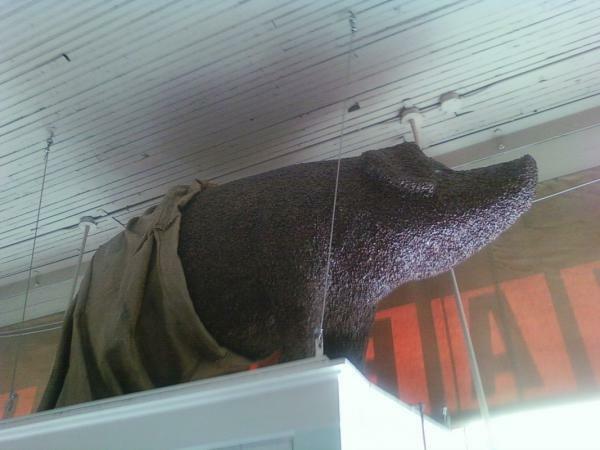 By the way, I particularly liked the story of the coffee-bean-covered pig at the Pike Place store, called “Pork and Beans.” I have seen the pig many times sitting high above the door, and always wondered how it got there. I never knew how much work was involved in placing the pig above the door, given that a shelf above the door could not be constructed with the permission of the Pike Place Market Historical Commission. That story speaks to a store partner’s strong will to find a solution to a big pig in a very small store. The best quote about the relationships between customers and baristas come from former vice president of Marketing, Brad Stevens, who says, “By creating consistently intimate stores, we have become the living room of the neighborhood. We are not content to be liked. We want to be loved. We are not looking for romantic love or the love a mother has for a child. We are looking for that rare situation where people say, ‘Oh, I love that company.’ …” (emphasis added). Three tumultuous years have passed by since this book was published. The Starbucks experience has truly been tested and pushed to the edge of its limits. One current challenge now is that labor is so thin that it is very hard for baristas to have much time to connect with customers. I absolutely believe that the Starbucks experience still exists, but as Starbucks has worked through really painful challenges like store closures in 2008, and thin labor practices in the stores, this has taken its toll on baristas who probably feel less empowerment now than ever before. I definitely think that many of the examples of things that baristas did in the book to really make customers feel special and warm and cherished by the corporation, now in the year 2010, might be seen as rogue unprofitable behavior by certain store managers or district managers in a deep recession of 2008 to present. (Certainly, we’re not in quite as deep of recession now as we were just a couple of years earlier). I know that the Starbucks experience can still come to life, and that many baristas are still feeling motivated to bring legendary experiences to the stores, but the hurdles are higher than just three years ago. In addition to the tighter labor scenario now, a noxious hurdle is the much larger importance that online connections play now than they did just a few years ago. Negativity among baristas can spread like a contagion, and online reading dis-heartening and upsetting experiences counter to the culture of Starbucks can have a poisonous effect on the brand. In other words, there are far more ways that upset baristas can connect and vent together online than ever before. There is nothing inherently wrong with being able to vent, but the problem is that others can get sucked into the negative energy and actually spread it too. It can get a little skewed out of whack online. Customers reading about these negative experiences often don’t have the right tools to understand that they might be reading about very limited fluke incidences. Customers then walk away from the online content thinking that this is representative of all barista behavior, or indicative of how baristas really see their relationships with customers. This often couldn’t be further from the truth, but this is how negative online content affects word of mouth customer conversation. There is nothing that can be done about this damaging online content. Starbucks doesn’t control it, and can’t. The only thing that Starbucks can do is fight the few “Negative Nancy’s” with a healthy dose of empowerment and “just say yes”. Starbucks partners have to be given all the right support and structure to lead by example. No one can be afraid for their job for being legendary. Of course I am optimistic about the Starbucks experience returning to the exact same level of vitality that it had just a few years ago. Recessions don’t last forever. As the corporation becomes increasingly profitable again, and returns the right tools back to the stores to empower baristas, things will go back to a more generally inspiring “third place” experience that Starbucks built its name on (aside of course from the bold coffee). Starbucks Ends Free Drink Coupon: Now $4 Off Your Next Purchase. Meet the Starbucks Micro Drive Thru Store. Thanks for the review…I am still reading the Howard Schultz biography “Pour Your Heart Into It” right now. But I think this will be my next reading! Melody, you know how much I respect your journalism. I am glad to know my book was worth your investment of time and money. You do a great service through your blogs and twitter posts. I have future Starbucks projects ahead and will give you advance notice when those are about to go public. I am so DEEPLY in your debt. Like you, I expect a revitalization of the experience. Much has been learn in the past couple of years. Thank you for this meticulous and thoughtful review! The green apron behaviors defiantly translate into all of life. I was just telling my husband how expanding my comfort zone at work was translating to all of life, and how cool that was! And I agree about the negativity online…that really frustrates me a lot. It’s way over the top. Loved the book! I was intrigued by the review, and so I went out and bought it. My thoughts: well done. I’ve been out of Seattle for the past 3 months, and reading the Starbucks Experience made me desperately miss it. There is something very fresh and innovative about the Seattlite mindset that I thought was very well personified in the book. I’ve always loved Starbucks, their mentality, and their business model, and it was great to see it so accurately depicted. Good review! And I just got it yesterday, will be reading it for the weekend. Along with a cherry mocha. I got this book a while back, and have since passed it along for more people to enjoy, but I do remember it bringing to mind some of the more connected bariastas I have gotten to talk with over the past, oh my, 14+ years, really it’s been that long? I enjoyed it so much I read it in one week (and I am a slow reader)! I agree Melody the experience is out there, but I also have to say that it seems that there is less labor and more work at the stores in the past few years and I feel the exhaustion of many of my favorite baristas, and a positive attitude can only help so much. One of things that I love about working at Starbucks is having the power to make someones day. I don’t think many baristas know they have this power-the power to surprise and delight, specially. They are told to “just say yes” but aren’t explained what it really means. I need to buy this book, read it and pass it around to my fellow partners. @JosephMichelli – Thanks for stopping by my blog. I’m glad you like my book review. Your book really is very inspiring. I didn’t mention it in the review, but it was also at times fun to read names of people that I know at the SSC. Nearly everything cycles back to labor. There is no way to do coffee sampling, coffee education, spend time with a customer explaining growing regions, catch up about birthdays or whatever, unless there is more labor. @WhittakerDunn – Thanks for stopping by with your two cents on the book. Glad you liked it too! This entry comes at an interesting time. I’m in the middle of reading through work by Dave Snowden on his approach for making sense of different systems, the Cynefin Framework (http://en.wikipedia.org/wiki/Cynefin). The customer experience at Starbuck’s falls in the Complex Domain (per the Cynefin model). Some things can be standardized and perfected (like preparing coffee), while others will always remain more impromptu. That’s especially true for relationships between baristas and customers. Knowing the best way to interact with a particular customer is something that can’t be mandated or written as a fool proof recipe in a policy manual. It has to be figured out by each barista. That’s why the concept of empowerment at the individual level is so important in coffee shops in general. Contrast this with fast food restaurants in which customers (generally) want a 100% uniform experience. They want predictable uniformity (and In-n-Out is a notable exception). For Starbucks a move to “predictable uniformity” would be a death knell. The customer service that brings people back is the attention to the individual and that can only come from empowered baristas with the freedom and internal motivation to act on their own. That sort of individualism can be a challenge for large corporations, but it’s the heart and sole of a superior customer experience. To me being part of a corporate culture and a brand makes me a spokesperson for that brand. Something that has been lost at the store level is finding individuals like myself that love what we do because we truly care. My role as a Manager is to hire these types and educate them and value them and trust them so that when the going gets tough they band together as a team. I truly and deeply love my staff and they know it and now i’m in the position to farm these guys out to other stores to make me proud. It’s my time to start the cycle over and over again. Being a partner of 8ish years these types of books re-energize my spirit that we are in fact trying to do something that no one has ever done before… Sometimes we get things right, sometimes we get things wrong but i do trust that Howard will lead us and this business will continue to offer me limitless opportunities. Melody your a constant fire that brings light to the darkness, I have not read the book but trust in your opinion about it. I like how you state even those who have distain for the company should read it. Love it that your always the hopeful. I think I can say that I myself have thrown a few logs on that fire on discontent due to the changes over the last couple of years and with respect I believe everything I have said has been nothing but matter of fact. I also know the joy’s of hugs from customers I have encountered and as @CamSpi said yesterday, my personal vibe can be felt though out the whole store by employees and customers. In fact I think some just come in to see what kind of mood Skooter’s in today, LOL I find my frustrations tend to come from my feeling that because of labor restrictions not anywhere close to my choice, we fail as a company/team/person at times and it is an embarrassment my mind can’t wrap around. I will give 110% everyday, but I must also be given to proper tools to accomplish my job. I’m glad to see that it has a direct effect in the Seattle area as that many believe it follows different rules being so close to the SSC. I’m not sure if these factors will ever change since Howard stated in Jan that, “90% of all changes made with in the last year are permanent”. I can only hope with you that they will. Keep the faith sister that one day BOLD will not just be a “promotion” but the norm. LOL U make me smile, Thanks for that always. I bought this book today after reading your post! I am excited for it and I hope it will be one I can pass around, or at least bring up in conversation to see how many of the baristas here have read it. I would feel odd telling them they should read it, I don’t want them to think I’m telling they aren’t doing a good job because they are! But I’m hoping some will want to, if I have brought it up in conversation! Great post as always. I agree the experience in store now is very different compared to 2-3 years ago. I can only imagine the difference compared to 10 years ago! But, the more i connect with baristas and learn more through you, I realize it’s not anything that the baristas wanted to ever happen! Great coments here and,as always, great thread by Melody. I have looked at that book many times and always decided: no, I don’t need one more thing Starbucks. I will look at it again now…..
to Hayley and everyone: Sbux really was a totally different place 10 and especially 20 yrs ago. It really was about coffee and sharing about it, and community. It was definately a different time. I do have to say the manager at the Starbucks I go to most often did really surprise me on Friday when I was there. He remembered that I was so excited for my first coffee tasting (even though it has been 3+ weeks since). He asked how it went, what coffees we tried and what was paired with them. I was so surprised that he remembered, it was really touching! He mentioned trying to get together another tasting for his store in the future. That’s the type of customer connection that I think is so important! Luckily somewhere in between everything else that needs to be done in a shift, it’s still out there. Thanks for the great review and spot-on analysis. I agree that the experience can still exist and that the labor cuts (and morale cuts) have caused it harm recently. I just ordered this book from Amazon. It’s been on my “to read” list so thanks for the reminder. I’d be interested in seeing your take on John Moore’s Tribal Knowledge book – perhaps you could provide the forum for an “author update” by interviewing John for the post. Thanks for the book recommendation! I’ll pick it up next time I’m at the bookstore. Excellent book and the only way I found out about Pork & Beans! I came here to hopefully find a pic and info for my Pinterest page! Thanks Melody! I enjoyed the book and it is neat to look at the customer experience through a Starbucks lens of just say yes and HOW they can accomplish this goal for customers. Every partner SHOULD read this book. @Sandra – I was just at 1912 Pike Place this morning and totally forgot to look to see if the pig is still there. Okay, I will drop by tomorrow and check on pork and beans! I will get you a photo!